With a single layer of MagiCotton, your Gynecomastia Tank works wonderfully in flattening your chest. 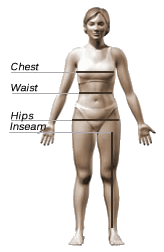 The compression is focused only in the chest area. The mid-section is relaxed and filled with 100% combed cotton so you only feel the compression where you need it. Just got this in today, put it on and fell in love! first thing, it only took a few seconds to get it on, rather than my other tank (ultimate chest binder- which I do really like)and second, it feels just like a regular undershirt. Not stiff, totally breathable, and it doesn't roll up at the bottom. It doesnt compress as well as the other for sure, but I'm pretty small to start with so it still gets me fairly flat (I just look like I do a lot of work on my pecs). This is definitely more of an everyday wear, casual, "kickin it at home" sort of shirt, but could easily be passable under the right clothes. long story short, 100% will buy again.